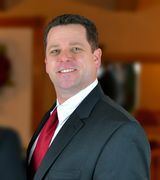 Excelling at communicating the particulars of the Pittsburgh real estate market, my passion passion for the real estate business and the Greater Pittsburgh Area shines through in every encounter. Whether BUYING or SELLING, my thorough, well-planned, and proven system effectively educates buyers and sellers on everything they need to know to help them make the best decisions for their needs. Buying a home is one of the most significant financial decisions a person will make in their lifetime – I understand the importance of making it a good investment. For Sellers - Using the latest technology tools, I will market and showcase your home above the rest. Having an intimate understanding of the current market and real estate contracts, I will market your home competitively with the intent to sell the home in the shortest amount of time for the greatest value while keeping his sights on your best interest at all time. For Buyers - My “No Pressure” approach will make you feel comfortable looking for the home that is right for you. I strive to keep your long term goals and your short term goals for the property you are seeking at the forefront of the search. Bought a Single Family home in 2018 for approximately $175K in Freedom, PA.
Sold a Single Family home in 2018 for approximately $375K in Mc Kees Rocks, PA.
Bought a Single Family home in 2018 for approximately $150K in Aliquippa, PA.
Bought and sold a Single Family home in 2017 for approximately $200K in New Castle, PA.
Bought a Single Family home in 2018 for approximately $275K in Beaver Falls, PA.
Bought a home in 2017 in Cherry City, Pittsburgh, PA 15209. Couldn't have been happier with our experience as first-time home buyers. Jeff answered all of our questions very patiently and was happy to walk us through the whole process. Sold a Single Family home in 2015 for approximately $175K in Ellwood City, PA.
Bought a Single Family home in 2017 for approximately $175K in Rochester, PA.
Bought and sold a home in 2016 in Parkstown, New Castle, PA 16101.